Almost midway through our season, we thought we'd take a moment to reflect on some highlights from our season so far. So many good times, and so many more to come! With the odds of getting a hole-in-one at 12,000 to 1, we figured the golfers who manage to pull off the feat deserve a little spotlight! We launched our new Hole-in-One Hall of Fame this season and our list of lucky members is growing by the week. We've welcomed 11 golfers (and counting!) to the Hall of Fame so far, each of which receives a signed course flag and a Cabot hole-in-one hat. Congrats to Keigan Hanna, Matt Rogers, Gerry Smith, Ryan Gardner, Chris Cozac, Lan Duong, Paul Joseph, Lesley Craig, Sean Young, Helen Knowles, and Andrew Unruh! Let's keep the aces rolling folks!! We welcomed Ashley Mayo back for her 4th Cabot visit recently, and as always, we enjoyed following her instagram throughout the visit as she updated it with beautiful photos and videos. During her stay, Ashley took over our instagram story to give our followers an inside look at the Cabot Experience. 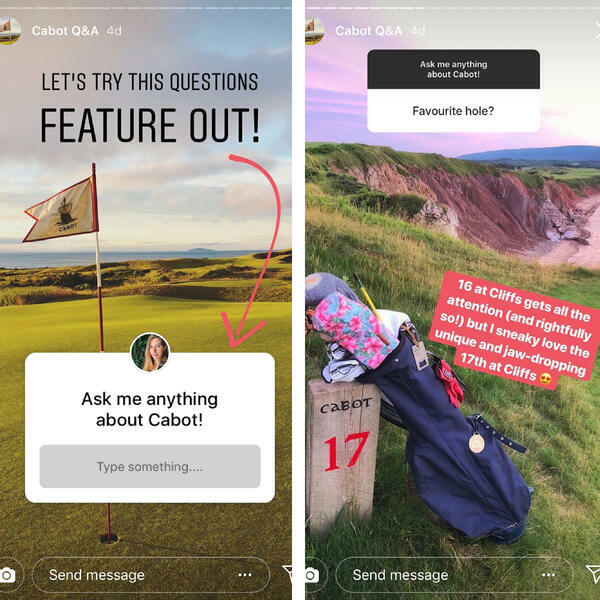 Following her stay, she prompted her instagram followers to "Ask her anything about Cabot" - and ask they did! She received an influx of questions, and provided answers to the most frequently asked ones on her instagram story. Check it out to see if Ashley answered any questions you've been curious about! 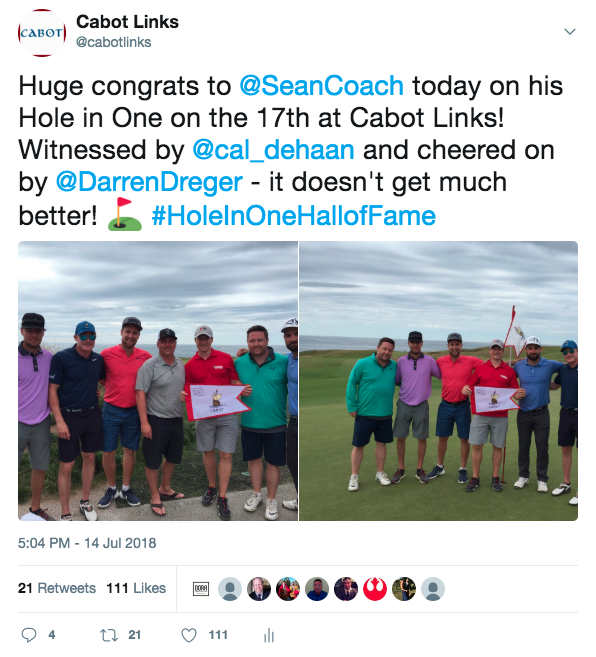 Golf podcasts really seem to be hitting their stride in 2018, and for good reason! Entertaining, accessible and easy to listen to on the fly, there are a number of great podcasts out there worth a listen. We were super excited to be featured in three different podcasts this season, which all proved to be very entertaining! 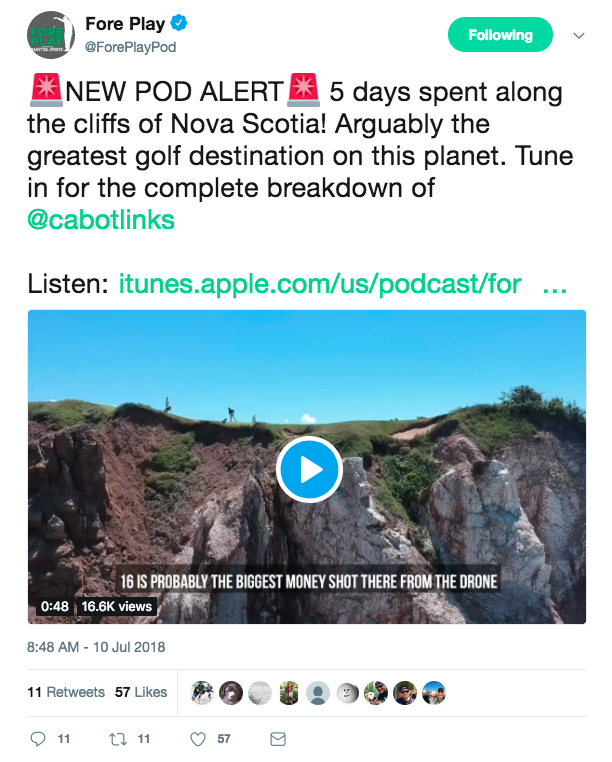 A big thanks to Fore Play Golf Pod, Rubber Boots Podcast, and Talking Golf Getaways for visiting and sharing their experience with their listeners! We love receiving feedback from our guests, and we love it even more when it comes in the form of photos or videos! 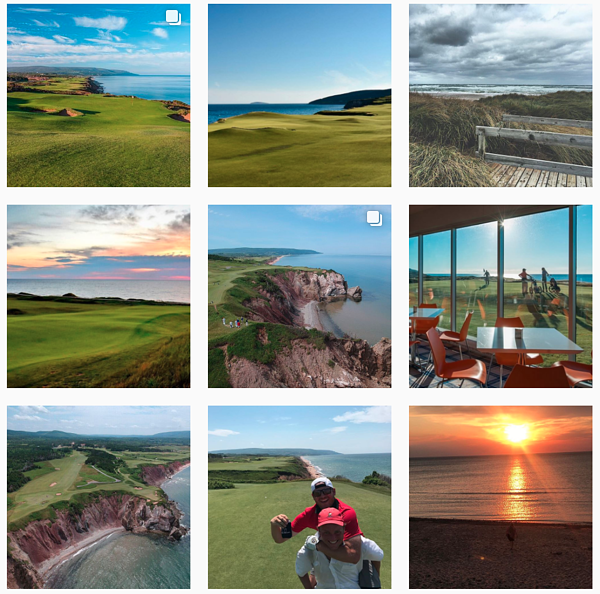 Check out our tagged photos on Instagram to see Cabot from the perspective of our guests! We came across this competition on twitter by @z_blair - what a neat idea! 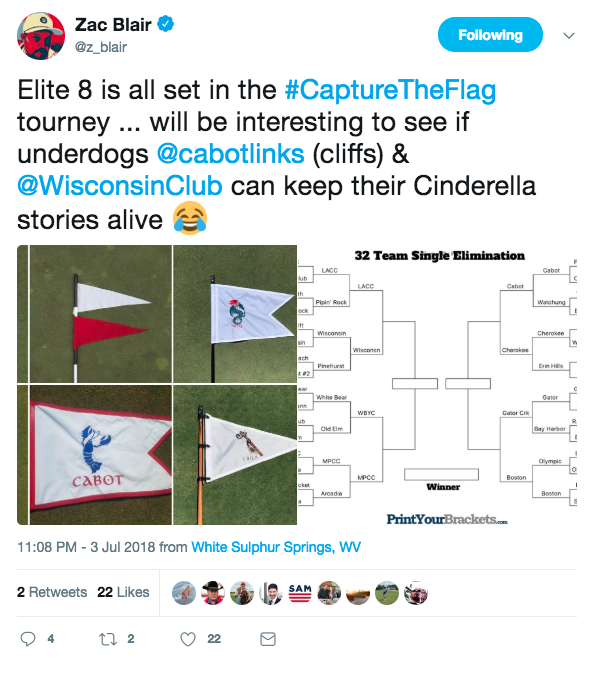 He compiled a list of 32 golf flag designs and pitted them against each other by way of a single-elimination tournament. He matched up two flags at a time for followers to vote on, the one with the most votes would move onto the next round! We made the top 8, but In the end, we didn't take home the honour of being the number 1 golf flag of the 32. However, we still think our logos and flags have a pretty cool story! You can read up on how our logos and resort name came to be here. Want to follow along on a round on the Links or the Cliffs? How about a culinary experience? Or watch the sunset? 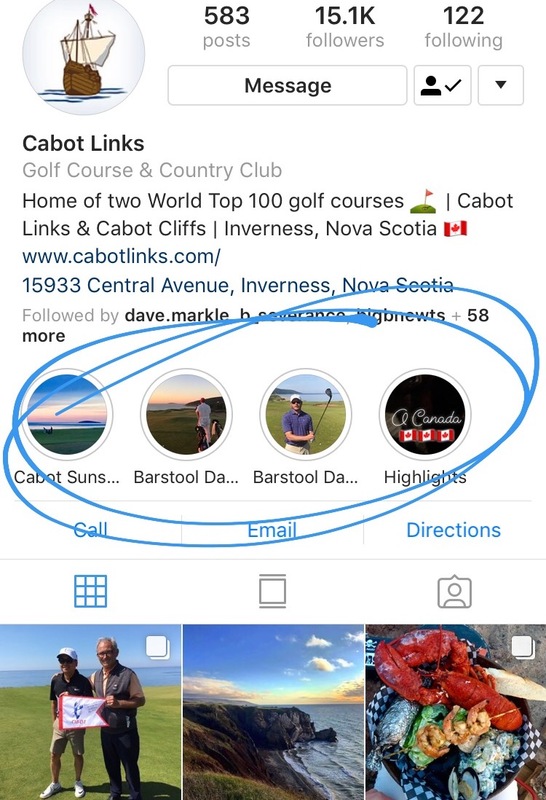 We often document Cabot experiences in-the-moment on our instagram story. To see these stories, follow us on instagram. We'll be featuring some of our favourite stories throughout the season in the highlight section of our profile, so if you missed them live, you can always check them out here! If these mid-season highlights have you ready for your next trip to Cabot, you are in luck! We still have some availability for September and October which is a fantastic time to visit. Request a booking and our reservations team will get back to you within 24 hours.